Raised in Los Angeles, Rio de Janiero, Brazil and Durban, South Africa, Rick has worked as a deckhand on a dredger in Durban and a cabbie in New York. Read more about Rick or explore his work below. 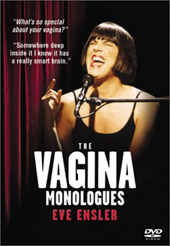 Acclaimed writer/performer Eve Ensler is the star of this innovative special that features some of the candid, funny, painful, yearning insights of women talking about their no-longer-so-private part. Based on Ensler’s award-winning stage show of the same name, the special includes all-new interviews and behind-the-scenes commentary added to the original performance material. The end result is a daring and refreshingly liberating experience filled with compassion, humor, intelligence and honesty that will leave you thinking inside the box! To check out the rest of Rick's work, please visit the portfolio index.